This lakefront gem is waiting for you! 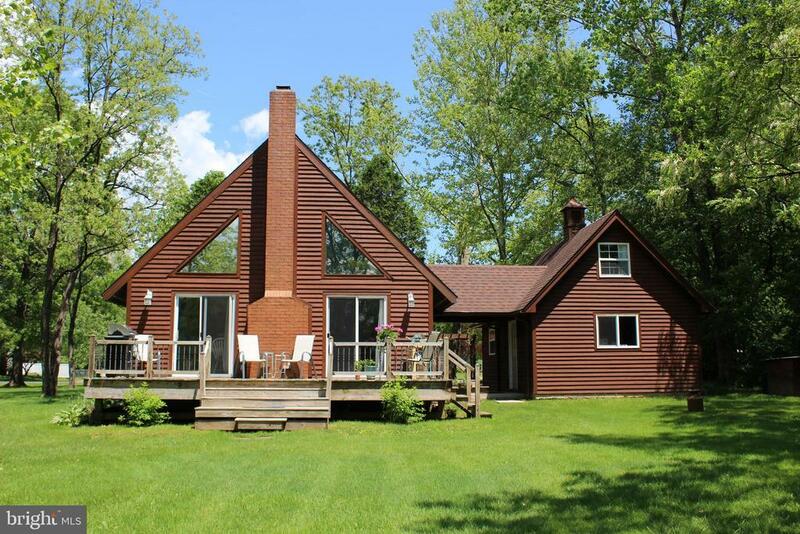 Absolutely adorable 3 Bedroom A-frame with breathtaking views of Lake Kay! Open great room with large windows, gas fireplace, & wood floors. Custom tile shower. Cozy loft over looks the great room & lake. Brand new carpet in Master. Detached garage with storage above and 240 volt electric heat, shed, & deck for entertaining. Great location near MD/PA line. Charming details throughout- a definite must see!! Directions: From Fairfield: 116 W, Left on Bluegill Trail, Right on Trout Run Trail, to the house on your right. Exclusions: Large Chalkboard. Decorations- although some may be negotiable.